Last season, I had the pleasure to work on a production of 'Pride and Prejudice' designed by the incredibly gifted designer, Michael Ganio. 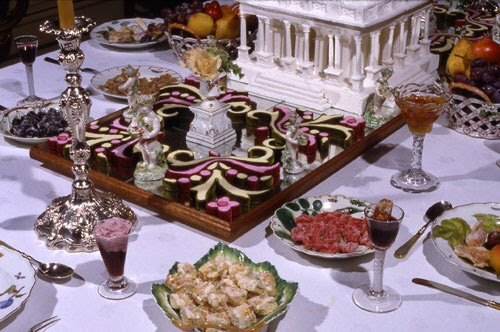 For a brief ball scene, we created a table of Regency era treats, a bowl of punch, plates of delicate cookies and little marzipan fruits. 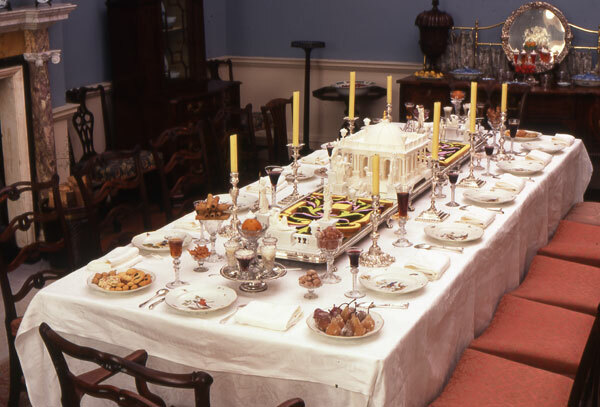 While I was doing my research, I came across this website, with its galleries of period food, table settings, and delicate sugar sculpture. It is a must see for anyone working on a Regency period piece. The images in this post are just a few of the beautiful photos from this site. Also, check out this recipe for George the Fourth's Punch, a staple of the Regency ball.